When I pick the kids up from school, they always ask me if I made something. (I must have a reputation or something.) 😉 It is fun keeping the boys in suspense and seeing their reactions as they burst through the door to find something yummy on the table. These chocolate donuts were a quick favorite. The donuts were also extremely easy to make and they are baked not fried so you won’t have all the grease that you would have with a fried donut. Not insulting the fried donut, I am a fan. However, if I can get a yummy donut result with baking, I will. 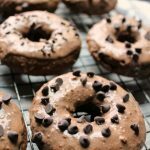 How do you make easy baked chocolate donuts? Well, you start with a recipe. 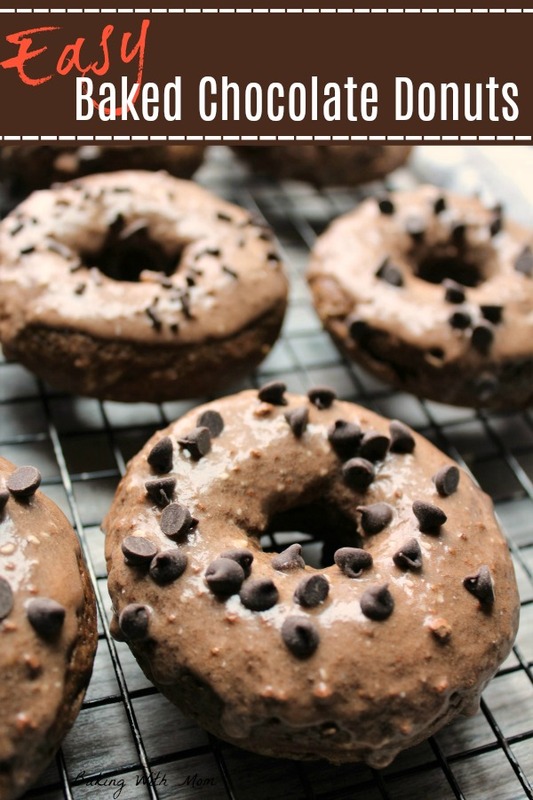 I have a simple baked donut recipe with chocolate pudding in the mix to add the chocolate-y fudge flavor. 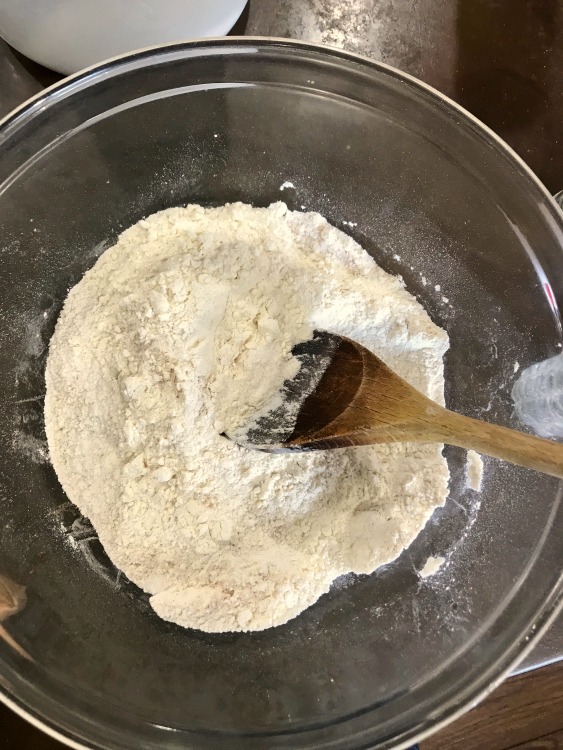 First you mix together the dry ingredients like the flour, sugar, baking powder and salt. Then you stir in the wet ingredients. After the dry and wet ingredients are mixed together, add the instant chocolate pudding mix. It will add a subtle chocolate flavor to your dough that will set apart those chocolate donuts. How is yeast donuts different than cake donuts? Not gonna lie, I love a good yeast donut, however a cake donut is delicious too. Yeast donuts take longer to make as the yeast needs to rise. The cake donut is just that, like a cake batter. We did put frosting on the baked chocolate donuts, but powdered sugar and cinnamon sugar are always good on cake donuts. What can I bake the easy baked chocolate donuts in? You will need a donut pan which has the middle of the donuts, the holes, already in the pan for you. These pans are 2 for $13.00 and they are non-stick which is great. Wilton is always a good company as well. You won’t be able to use these pans for the fried donuts but for the baked ones, they are great. If you make yeast donuts, using a donut cutter, like this one, is important. 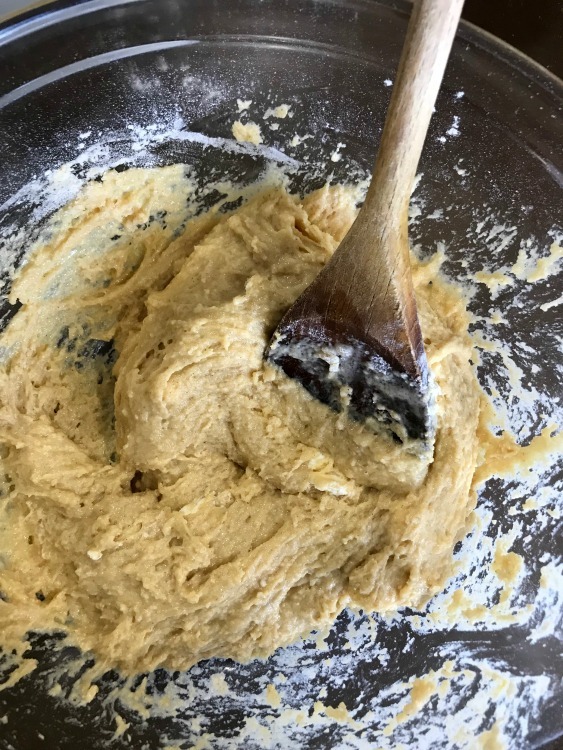 If you are interested in a yeast donut recipe, you can find one here. 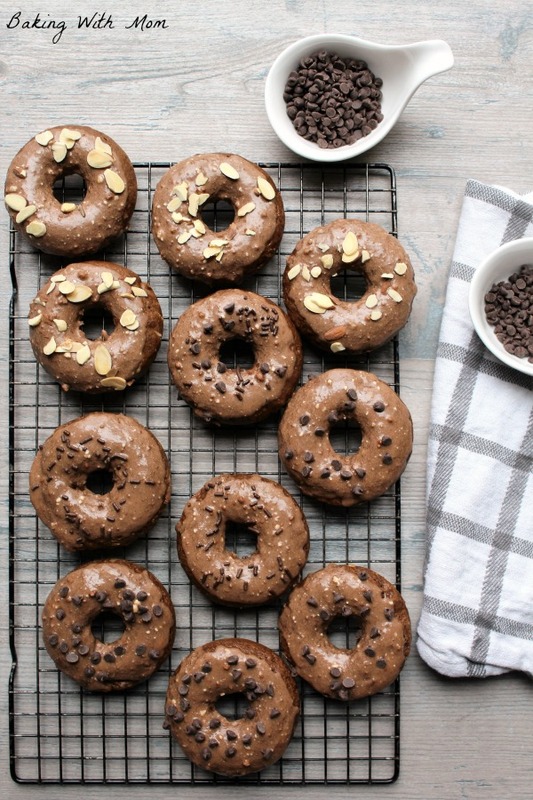 Easy baked chocolate donuts are made in the oven for a quick breakfast favorite. 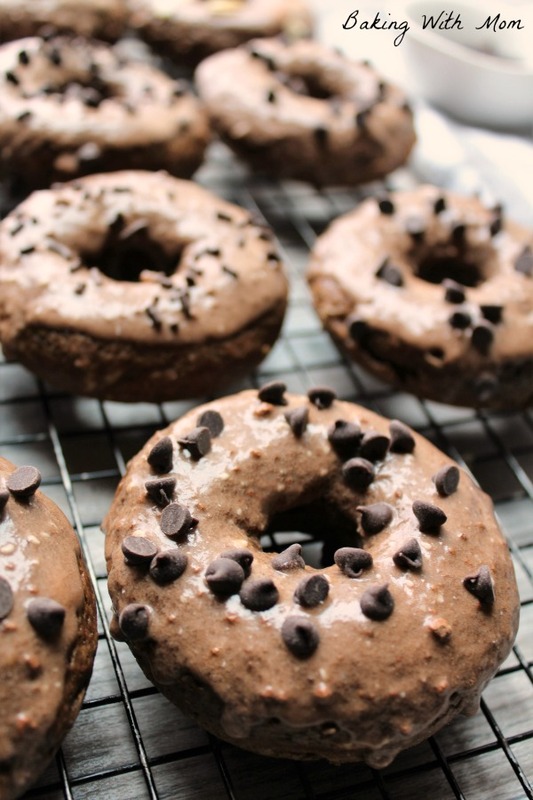 Simple ingredients and drizzled with chocolate frosting makes these donuts a family favorite. Let cool completely, then you can frost using 1 1/2 cups powdered sugar, 4 tablespoons melted butter, 2 tablespoons of milk or almond milk and 1 tablespoon baking cocoa. Whisk all together and frosting donuts. It will be more like a glaze. You can add more powdered sugar for more thickness to the frosting. **Please note** The nutrition facts do not include the frosting in the total.